It certainly hadn't been my intention to re-read Anne of Green Gables this year, as it wasn't on my "to-read" list and besides, I read it so many times in childhood. 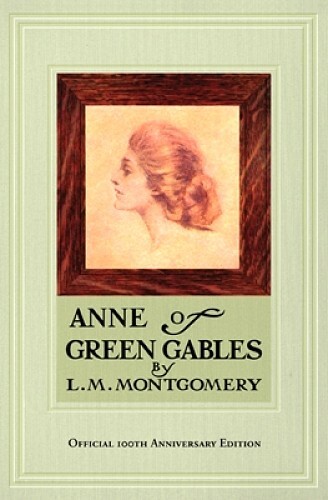 But I just came back from a holiday on the Island, and we went to the musical and Green Gables, and then I caved in and bought the 100th anniversary edition as I've been meaning to, and there I was reading it again, along with my husband who is also reading it. I love it, of course. I don't think I ever will stop loving it. I first saw the Anne musical when I was seven and read the book then, and I've read it (and its sequels) at several different times during my life. Each time I read it, I do so from an altered perspective. The last time I think I read it cover-to-cover was for a children's literature class ten years ago. This time when I read it, I laughed a whole lot more. As a child reading it, I identified so much with Anne and would cringe in sympanthy every time she got into a "scrape." Now I see the humour much more in the situations and can laugh without feeling the old wince of pity. The parts I loved the most this time around were Anne's interactions with the people of Avonlea, particularly with her schoolfriends in their various rivalries and friendships. You can almost hear the townsfolk singing "she's nothing like the rest of us" right out of Beauty and the Beast. And of course, one can't help feeling wistful for all the nature in the book, especially when one is enduring a hot, dry summer in a particularly ugly part of the country.